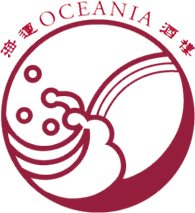 Restaurant Oceania - Amsterdam - Benvenuti su restaurantoceania-nl! Enjoy a unique experience of traditional Chinese cuisine set in an ambiance that exudes hospitality with warmth and finesse. Our signature dishes that were created by the founder of Oceania with 30 years of experience, had delighted celebritites, dignataries and our customers.Oceania's culinary delights includes supreme shark's fin soup, abalone, stuffed trout, stewed fatty pork, home-made tofu and steam fish head, favoured by many of our customers from all over the world. Oceania offers sensational dining with authentic Chinese food, exquisite wine selections from around the world and first class services. Come and share a moment of culinary delight with us. Please book for reservations to avoid disappointment in your seating preference. All major credit cards are accepted.